Blizz offers a variety of non-fat frozen yogurt flavors with all your favorite toppings. Have it with granola or cereal for breakfast, fruits or nuts for a power-punched lunch, or mix and match for an all-day Blizzfully delicious dessert. 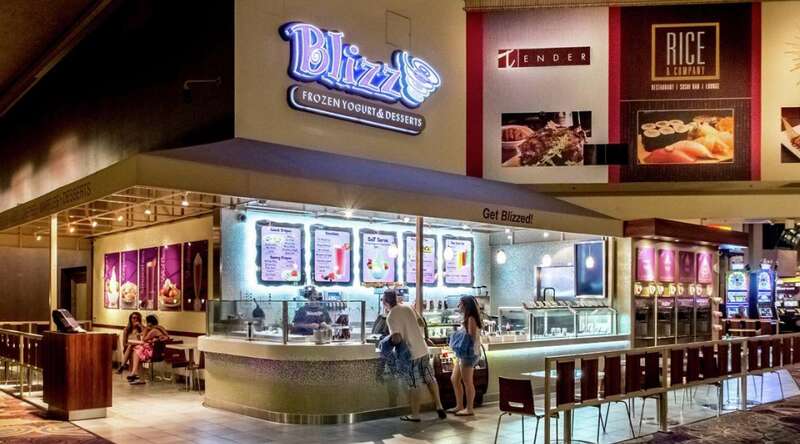 Blizz also features yogurt smoothies blended with real fruit, creamy milkshakes, fresh-baked Belgian Waffles, and delectable crepes. No reservations required! Walk across the walkway, enter the hotel. 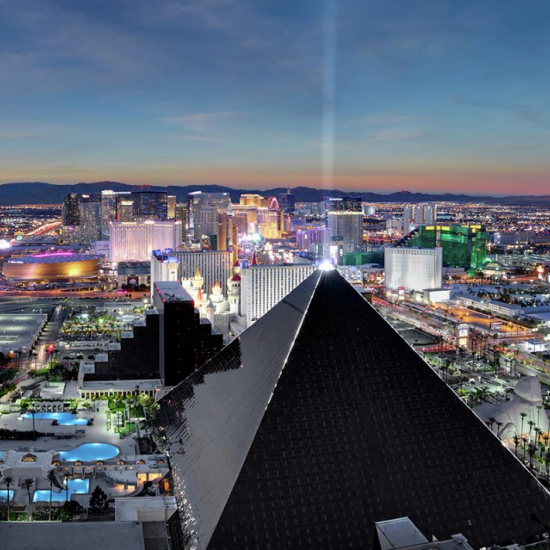 Walk down the stairs and into the casino, turn left towards Pyramid Café and go straight and Blizz will be on the right. Enter the hotel and walk into the main lobby towards the right. Go straight and turn left at Starbucks and continue to go straight all the way down the walkway until you see Blizz on the left.